Our Ad in the East Valley Tribune! | The Pinnacle P.O.V. 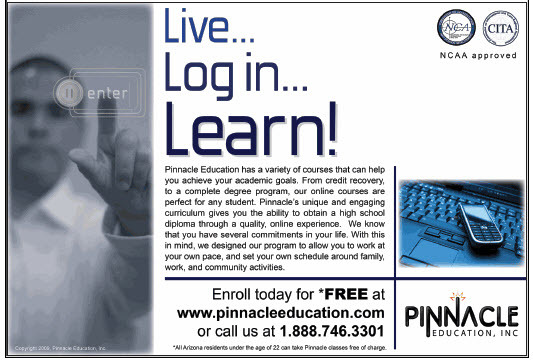 This past Sunday, Pinnacle placed an ad in the Back to School Section of the East Valley Tribune. If you haven’t already, please pick up a copy or check out the online version at www.eastvalleytribune.com. ~ by pinnaclepov2224 on July 20, 2009.